On August 15, Calcasieu Parish Sheriff’s Office Vice detectives arrested former teacher, Vernon S. Benoit, 46, 314 Jarrett Street, Welsh, after a four month long investigation revealed he was videoing female students at high school football games, inside the mall, and in his classroom where he taught at a local high school in Calcasieu Parish. The investigation was initiated in October 2016 after Vice detectives received a complaint in reference to a man, later identified as Benoit, who was videoing juvenile girls inside the mall. When detectives spoke with one of the victims it was learned that Benoit had also been videotaping her and her friends at a high school football game approximately two weeks prior. The following day CPSO deputies, who were working a security detail at a local high school football game, were notified that a man, later identified as Benoit, was videoing juvenile girls at the game. 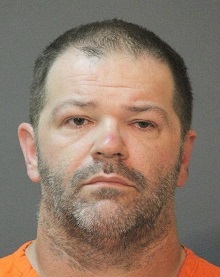 After further investigation on November 7, CPSO Vice Detectives, with the assistance of the Jeff Davis Parish Sheriff’s Office, executed a search warrant at Benoit’s residence and recovered several USB drives, jump drives, and computers, as well as, a cell phone and numerous other electronic devices. Detectives submitted the items to evidence to be reviewed, where it was revealed Benoit had photographs of juvenile girls on his cell phone. The case was turned over to the DA’s Office and on August 14 Judge David Ritchie signed a warrant for Benoit’s arrest. Benoit was booked into the Calcasieu Correctional Center and charged with video voyeurism. He was released later the same evening on a $7,500 bond with special conditions being he can have no contact with the victims, cannot video anyone without their permission regardless of age, no unsupervised contact with minor children, no criminal activity, and must stay away from public and private schools.